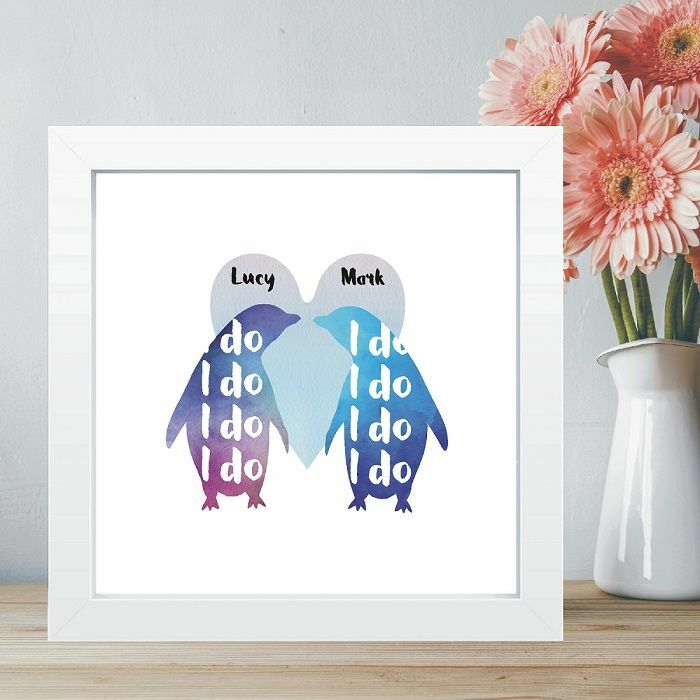 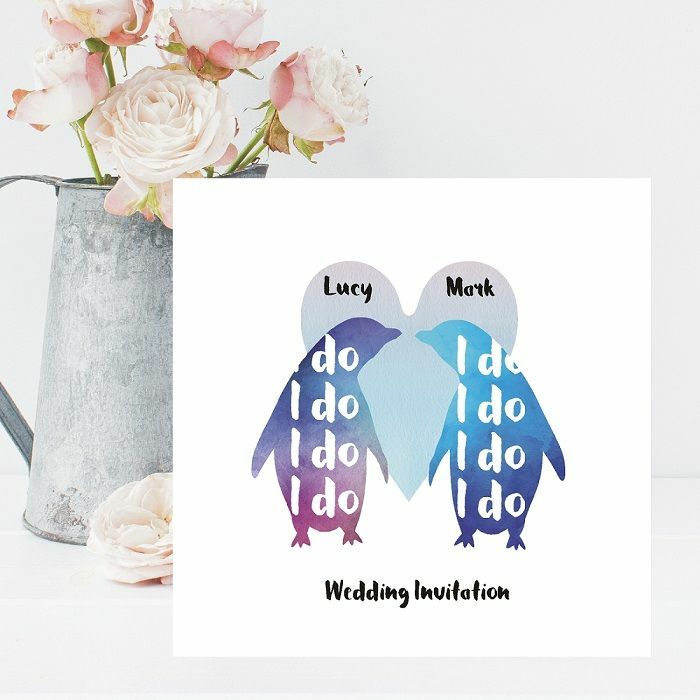 This unique wedding invitation is illustrated with two penguins filled with a water coloured design. 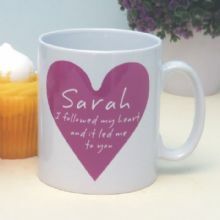 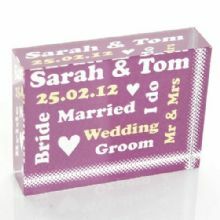 The inside of the card is printed using the text you supply and a sample is provided below for you to use as a template. 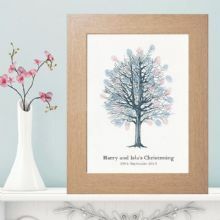 You will also receive a framed print worth £24.95 free of charge. 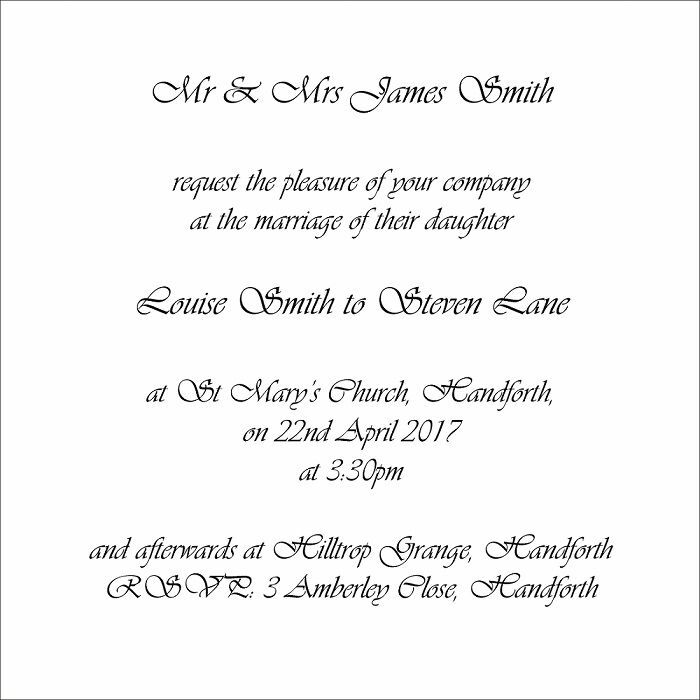 Once we have all the relevant information we will design your personalised invite and then e-mail you a proof. 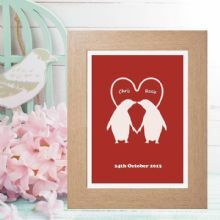 We then require you to check this carefully and inform us if any amendments are required. 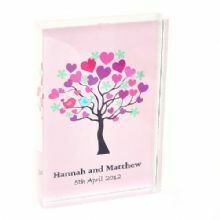 Once you have signed off the proof we will begin production of your invites along with your free framed keepsake print of the card. 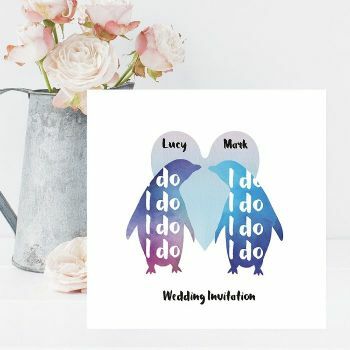 Please note that the invites are printed on high quality 350gsm white card and that there is a MINIMUM ORDER OF 50 INVITATIONS.